Clément Maurice Gratioulet (always referred to as Clément-Maurice) was born at Aiguillon (Lot-et-Garonne), France in 1853. He worked for several years at the Lumière photographic factory at Monplaisir, where he became a friend of Antoine Lumière and his sons, and followed with interest their work with new photographic processes. He became a professional photographer with a studio at 8, boulevard des Italiens, Paris. It was Clément-Maurice who arranged the rental of the Salon Indien, at the Grand Café, for the first public Lumière show on 28 December 1895, and who took charge of the till for the first performances. He later recalled how the the owner had, unwisely, rejected the offer of a percentage of the takings for a fixed daily rent of thirty francs. Clément-Maurice continued to manage the Lumière programme at the Grand Café for some time, and remained an active figure in the burgeoning Paris film scene. He acted as camera operator, with the assistance of his teenage son Leopold and the additional operator Ambroise-François Parnaland, to the surgeon Eugène-Louis Doyen for the filming of his operations in 1898. 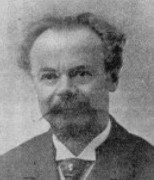 In March 1898 he won first prize in the world's first film competition, held in Monaco, for his film Monaco vivant par les appareils cinématographiques. In 1900 he devised, with Henri Lioret, the Phono-Cinéma-Théâtre at the Paris Exposition, where simple synchronised sound films were made of Sarah Bernhardt, Little Tich and many others.